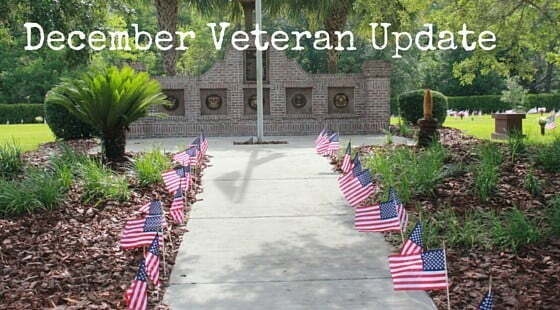 This past month was a very busy time for our area veterans and their families. Around the beginning of the month the K-9 Memorial Committee hosted a “Bark in the Park” event at the Veterans Memorial Park. Over 26 dogs participated in a costume contest and other events that absolutely delighted the crowd. It was a fun day for all that successfully raised awareness of canines that work and protect us in time of war and peace. Forest Meadows was one of the proud sponsors helping to raise funds for this most worthwhile project. We had a huge turnout of veterans marching in this year’s University of Florida’s Homecoming Parade. Jim Ramos, Commander of the State of Florida American Legion, rode in his specially designed patriotic car escorting American Legion Post 16 Commander Vickie Van Buren. We had the Wreath Across American tractor, a float and several vehicles also participating. Everyone felt very proud as citizens stood and saluted as our veterans passed by. This year’s Community Veterans Day Ceremony had one of the largest turnouts in many years. Over 2000 community members showed up to partake in the patriotic event. Unfortunately low hanging clouds prevented the helicopters from landing and the skydivers were not able to parachute down. On the plus side the US Air Force Military Working Dogs gave an outstanding performance, the young marines performed a flag folding ceremony, combat wounded veteran Stephen Dodd gave a very moving talk about men getting wounded in the Vietnam War and how they endured extreme hardships then the University of Florida US Air force ROTC gave a flawless drill team demonstration. At the conclusion of the ceremony all veterans were recognized and Vietnam War veterans were given a special “Welcome Home” reception. We are blessed to live in a community that cares so much for her veterans. Keep December 12 open on your calendar as we have two community events scheduled. Starting at 10:00 am we will be dedicating a new veteran’s memorial in downtown Micanopy. Forest Meadows veteran’s representative, Jim Lynch, will give the keynote talk. At noon Forest Meadows will be hosting the annual “Wreaths Across America” ceremony at their Hawthorne Road cemetery. Enough funds have been raised enough funds to place over 700 patriotic wreaths on veterans graves and memorials around the county. Come join us and participate in this nationwide event then stay and enjoy a free lunch. 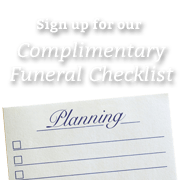 Give Jim Lynch a call at 352-538-3119 for further information.